Welcome to our second moon phases yoga practice! Today we’re aligning with the first quarter moon in a half moon yoga class. Last week, we experienced a new moon – a fresh start to the lunar cycle. Now, one week later, we have arrived at the first quarter moon. At this point, the moon has reached the first quarter of its orbit around Earth (hence the name). It is also halfway to being a full moon. The first quarter moon is often called a Half Moon because we can see exactly 50% of the moon’s surface illuminated. What does the first quarter moon mean for your new moon intentions? Well, it’s been a week since we set those intentions, and we’ve had a week to start working toward them. Now is when we start to feel some resistance in the form of challenges or obstacles. Some themes around the first quarter moon are: challenges, decision-making, and taking action. Our week of rest, reflection, and intention-setting is now over. This is the time for doing, my friends. Fire up that manipura chakra and let’s get to work! Over the course of the next week, we should be prepared to make decisions and face challenges, but we should do so from a place of calm. Know that unexpected challenges might be coming your way – keep an open and flexible mind when working through those challenges. Keep the intention you set during the last new moon in your mind over the course of the next week, and make decisions that will ultimately bring about the outcome that you desire. As the light starts to build in the night sky, our creative energy builds as well. Give new ideas the space to arise, and use this creative energy to act on your intentions. 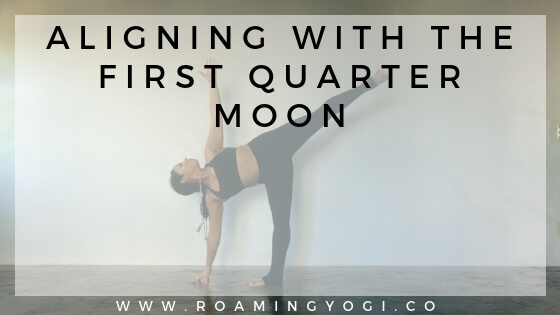 To help us align with the energy of this first quarter moon, we have a half moon yoga practice, and a first quarter moon meditation. 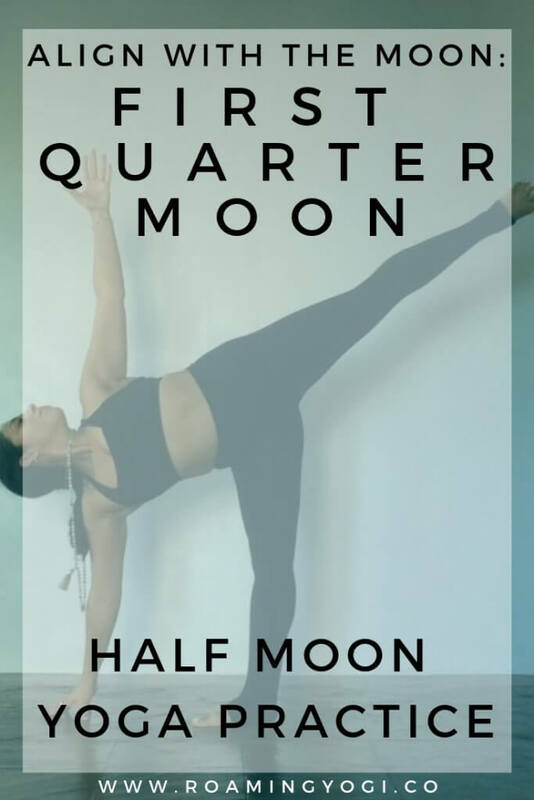 The half moon yoga practice is a bit fiery – we’ll light up the core, waking up the manipura chakra, our seat of taking action and getting shiz done! 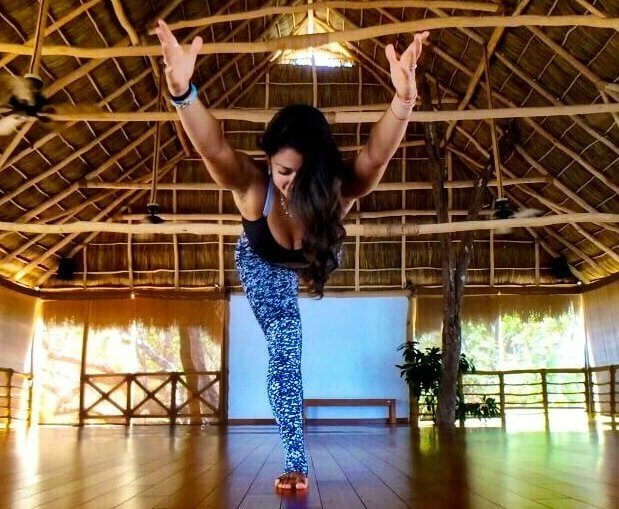 We’ll work into some standing poses, and some balancing, with half moon pose – ardha chandrasana. Half moon pose helps us to cultivate strength, confidence, and balance – all qualities that we’ll need in the coming week. Visually, ardha chandrasana also stretches out – like our sprouting new moon seeds. Now is the time to take up some space, cultivate courage, and maybe try something new! 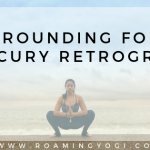 Join me on the mat and meditation cushion to align with the energy of this first quarter moon. So happy you enjoyed them, Kylie!! 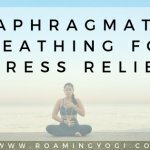 Beautiful offerings, thank you Natalie for this yoga sequence & this meditation. I look forward to the next ones that month for the full & last quarter moons, & maybe even for the dark moon to reflect & learn before closing this cycle. So happy you enjoyed these practices, Claire! There will definitely be a practice for the full moon next week, and one for the fourth quarter moon! Love this. So helpful! Can’t wait for the rest! Yay! So glad you found this helpful!